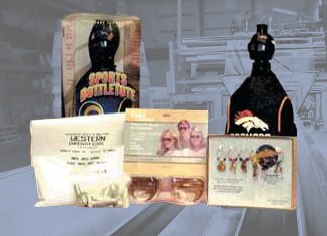 Good product packaging is often necessary for the protection of products while they are in transit or storage. Packaging can prevent exposure to moisture, impact or other hazards. Well-designed packaging can resist these hazards while maintaining an attractive appearance, which can increase the product’s appeal. Good packaging is especially important in point-of-purchase contexts, particularly in the case of consumer goods on retail shelves. In such situations, packaging is responsible for protecting the product and informing potential customers about the product. Packaging can also be a venue for the display of advertising copy and distinctive design elements like color, graphics and shape, all of which contribute to brand strength. Investing in packaging design can greatly increase the brand strength of a company. Blister packs, bags, boxes, clamshell packaging, envelopes, header cards, outer wrap and tubes are just a few examples of packaging varieties. Each packaging configuration offers different advantages. Blister packs, for example, are usually clear yet durable, which allows the packaging’s contents to be visible to potential buyers. 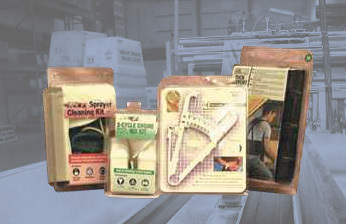 Clamshell packaging offers similar benefits, though they can be difficult to open. Packaging designers must consider every variable that will affect a potential customer’s experience with their product. Some clamshell packaging varieties have inspired a phenomenon called “wrap rage;” it is the experience of trying to open clamshell packages, which have become notorious because they can be very difficult to open. Because effective packaging design can be time consuming, and because it often requires the attention of skilled artists, writers, consumer behavior researchers and other specialists, many companies outsource packaging design to fulfillment services and other similar operations. Fulfillment services can design and produce packaging on behalf of a client, which allows for their clients to focus their entire operations on the production of their primary products instead of diverting energy to the design and production of packaging. Packaging Design Packaging design is the process of creating product and brand-specific packaging. Packaging design is essential to effective branding; brand recognition and prominence are increased greatly by companies that package their products creatively and effectively. The distinctness of a product's packaging can mean the difference between its success or its failure compared to other similar products.